Over 180 houses with sustainable features will open their doors across Australia for Sustainable House Day this Sunday, 17 September, with over 20,000 people expected to attend. The innovative green homes will be open to the public on the day, giving a rare glimpse into exceptional homes designed, built or renovated with sustainability in mind, allowing people to speak to and learn from homeowners. Off-grid living, solar with battery storage, green roofs, hemp walls and innovative energy efficient design are just some of the features people can see on the day. 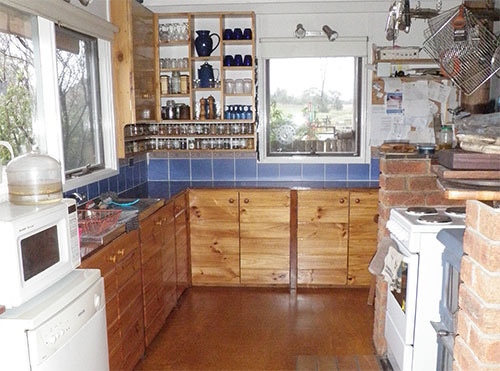 As a little bit of a preview, we've teamed up with Bank Australia to speak to Clare, a Bank Australia customers who is a Sustainable House owner that will have her sustainable masterpiece open to the public over the weekend. 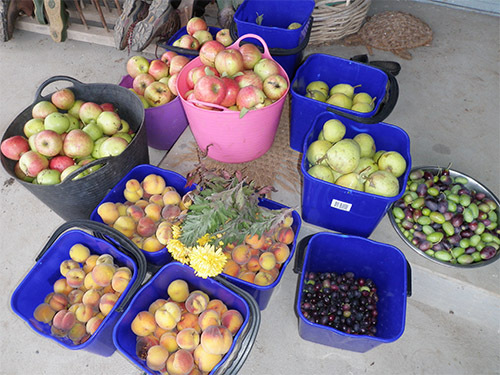 The thing that probably wows us city slickers the most about Clare's home is that she can say she hasn't bought any fruit or veg for years, because she's able to grow so much, and such a variety in her garden. (This compared to Michael Mobb's who owns a sustainable house in the city, and despite eating food from the community gardens placed all around his suburb, is only able to garden about 1% of his food). On top of this, Clearwind is fully self sufficient when it comes to water, even having a supply to fight bushfires, and the only heating Clare uses is her multifunctional woodstove. We began gradually, over 30 years ago. I've always been a keen gardener. We transformed the front paddock into a veggie garden and an orchard. We haven't bought veggies for the last 25 years - even through winter. We now have 80 fruit trees with about 120 varieties, with fresh orchard fruit from November to August and citrus all winter. I've also been interested in indigenous vegetation, we've planted several thousand indigenous plants on the property from which we collect and sell seed for local revegetation projects. In 2005, we decided to buy solar panels and a solar hot water system. While the solar and the wood fire assist to keep our usage down, we also try to live in a mindful way by switching off lights, shutting doors to keep the heat in or out and choosing economical appliances. Our motivation has turned up a notch with the arrival of grandchildren who deserve not to inherit a mess of a planet. Sustainability helps us become more in tune with nature, and to feel that we're living as lightly on the planet as we can. Renovated. Our house is built under a hayshed which was built around 70 years ago. We have all the advantages of living under a huge roof which include fire safety, generous water catchment, and protection from summer sun - it's like living under a large parasol! Do you believe it's achievable to create a sustainable home? We love sharing what we do. It's a treat to have people around who want to learn and ask questions about sustainability issues. We learn from them too! If you find yourself inspired enough to get going after visiting a sustainable home, Bank Australia is hoping to help their customers make their homes more planet-strong with an easier way to pay for environmentally friendly features. Through Eco-Pause, customers can pause their home loan repayments to pay for eco-upgrades like solar, batteries, water tanks and grey water systems. Customers can stop repayments for three months, or halve them for six. Let's get inspired and make the pipedream come true! To view home profiles and register to attend this weekend, go to sustainablehouseday.com, or you can read more about Clare's home specifically and when you can visit.